The Global Volcanism Program has no activity reports for Atacazo. The Global Volcanism Program has no Weekly Reports available for Atacazo. The Global Volcanism Program has no Bulletin Reports available for Atacazo. 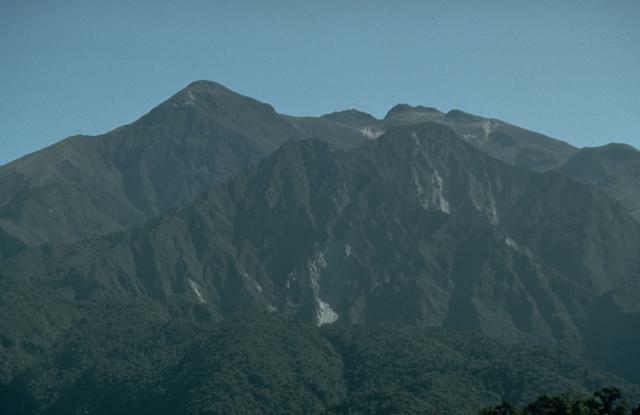 Atacazo, located about 25 km SW of Quito, consists of a large Pleistocene andesitic stratovolcanoes truncated by a late-Pleistocene to Holocene caldera. Growth of the La Carcacha edifice was followed by construction of Atacazo, a stratovolcano with flank lava domes. The 6-km-wide caldera, which is breached to the SW, is partially filled by three dacitic Holocene lava-dome complexes. Two andesitic lava domes are also found on the SE flank. Several plinian eruptions have occurred at the Atacazo-Ninahuilca complex during the Holocene, accompanied by growth of lava domes. The latest dated eruption took place about 2300 years ago, forming the Ninahuilca Chico lava domes within the summit caldera. Dome formation was accompanied by Plinian explosive eruptions and pyroclastic flows that traveled 35 km down valleys to the west. Hidalgo S, Monzier M, ALmeida E, Chazot G, Eissen J-P, van der Plicht J, Hall M L, 2008. 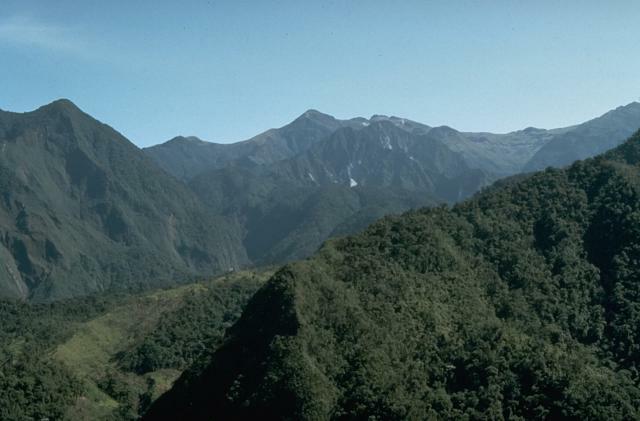 Late Pleistocene and Holocene activity of the Atacazo-Ninahuilca volcanic complex (Ecuador). J. Volcanol. Geotherm. Res., 176: 16-26. There is no Deformation History data available for Atacazo. There is no Emissions History data available for Atacazo. Atacazo stratovolcano, located 20 km south of Quito, is seen here from the west along the road to Guayaquil. The volcano contains a summit caldera that is partially filled by lava domes of Holocene age. Lava domes are also found on the SE flank. The only dated Holocene eruption took place about 2400 years ago, forming the Ninahuilca lava domes, the peaks below the center horizon. The Ninahuilca lava domes, which form the twin forested peaks below the right-center horizon, were created during an eruption about 2400 years ago. Growth of the lava domes within the summit caldera of Atacazo volcano was accompanied by plinian explosive eruptions and pyroclastic flows that traveled 35 km down valleys to the west. There are no samples for Atacazo in the Smithsonian's NMNH Department of Mineral Sciences Rock and Ore collection. Large Eruptions of Atacazo Information about large Quaternary eruptions (VEI >= 4) is cataloged in the Large Magnitude Explosive Volcanic Eruptions (LaMEVE) database of the Volcano Global Risk Identification and Analysis Project (VOGRIPA).